This project explores the user costs and benefits of winter road closures. Severe winter weather makes travel unsafe and dramatically increases crash rates. When conditions become unsafe due to winter weather, road closures should allow users to avoid crash costs and eliminate costs associated with rescuing stranded motorists. 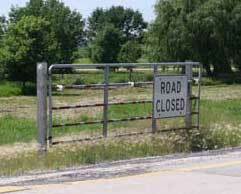 Therefore, the benefits of road closures are the avoided safety costs. The costs of road closures are the delays that are imposed on motorists and motor carriers who would have made the trip had the road not been closed. This project investigated the costs and benefits of road closures and found that evaluating the benefits and costs is not as simple as it appears. To better understand the costs and benefits of road closures, the project investigates the literature, conducts interviews with shippers and motor carriers, and conducts case studies of road closures to determine what actually occurred on roadways during closures. The project also estimates a statistical model that relates weather severity to crash rates. Although, the statistical model is intended to illustrate the possibility to quantitatively relate measurable and predictable weather conditions to the safety performance of a roadway. In the future, weather conditions such as snow fall intensity, visibility, etc., can be used to make objective measures of the safety performance of a roadway rather than relying on subjective evaluations of field staff. The review of the literature and the interviews clearly illustrate that not all delays (increased travel time) are valued the same. Expected delays (routine delays) are valued at the generalized costs (value of the driver?s time, fuel, insurance, wear and tear on the vehicle, etc. ), but unexpected delays are valued much higher because they result in interruption of synchronous activities at the trip?s destination. To reduce the costs of delays resulting from road closures, public agencies should communicate as early as possible the likelihood of a road closure.